Reviews are overlooked and have been a great way to get the jobs when people type in long phrases into their phone (or long-tail keywords) and getting these long tail keywords optimized. You can leverage this tactic to get more local plumbing jobs when you can use these Plumber SEO techniques and learn how to do Plumber SEO. With reviews, there are ways you can optimize your reviews so you can show up. When you leave a review, you leave a review so you can talk about the company’ specific product and service. You’ll show up for those keywords, for the product, and for the services that the Google My Business (GMB) listings appear. NAPs are a Name Address and Phone number that are the same info within your website. A good practice is to do a Citations Scrub so you can make sure that you don’t place a citation on the website if a citation comes. One way you can look at this, you can use a service like GoLocal247.com to build citations keeping track with an app like Linkody.com. Here’s an example of those Google My Business listings for Plumbers. There is one without the Call button, Directions buttons, and Website button. Here’s what that looks like. With them when they are properly optimized, they show up on the side of Google when people are trying to find you. I suggest that you Set up Text Messaging on GMB, so when they first initiate the message, you’ll get notified right away. Here’s what that looks like. Heres some citation tools to make it easy for you to do plumber SEO. Citationbuilderpro.com. This works for where address is shown. You can put in any random business and search it. Then what you want to do is to start going in and try searching for the actual business name. You want a high number of click through in the GMB so it prioritizes it in the SERPS. The SERPS are the search engine results page, otherwise known as the 10 blue links. What are Business Citations and why do I need it for Plumber SEO? A local citation is where your company is mentioned. Google calls this “Prominence”. Its based on info Google has about your biz across websites. There are four types of citations. General business directories such as YellowPages and Yelp, where it accepts all sorts of businessess. Yours, mine, and the local locksmith trying to do locksmith SEO too. A second type would be niches. A plumber trying to do SEO would want to be on such as www.localplumberdirectory.com or something industry focused. These Plumbing SEO directories help channel results by being present for shoppers as well as Google to know exactly what your business does. The 3rd type is much more relevant for plumber search engine marketing. It is a city directory, such as a city chamber of commerce. That tells Google exactly where, so when people try typing in Plumber near me, they’ll see your spot on the map if you’re in the same city they are in. The fourth and last type of citation is a press release. Websites like ABC News, Google News are examples. Press releases give announcements about a new business opening up and is a great resource for building citations. Citations are key to local link building. Citations help you get there. Links are key. 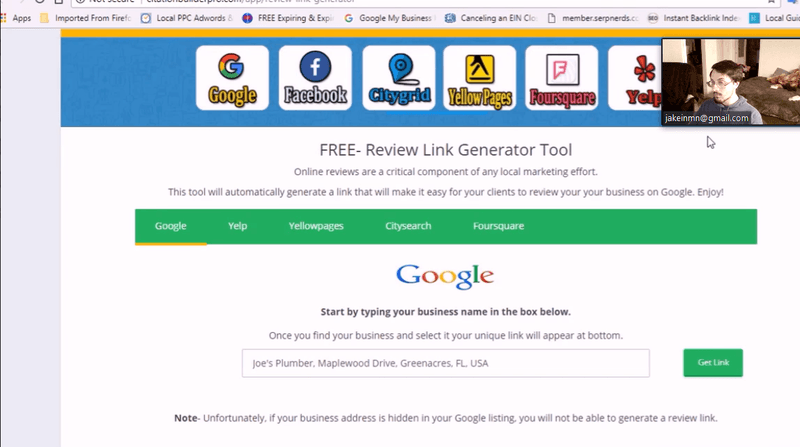 We found that building these links help your GMB listing and website. A good metric is Authority, the number of Do follow links to your page, and Relevancy shown in your links. When building these citations, these will give you a quality backlink that is needed for Google to Trust your business and show your website to customers. Now there are several citations that do now give value. One of biggest keys to building relevance. To do this, use the local chamber of commerce of a local niche site or industry directory. An important factor, is using the NAP. When we build our citations, its important we build the same information. We want to make sure we have the same name, spelling is exactly the same, the address is consistent, not one to have a misspelling anywhere. Want to make sure its all the same. When you build your website, make sure you use the right domain. So HTTP or HTTPS must be written down. That includes your full extension www.website.com. If you are using extentions, use a lander for it – not only to your homepage. They will recognize spelling or abbreviations such as St. or Street. As long as the information is there, you’ll be just fine. Easy way to build citation is “Keyword Directory” or “City Business Directory” or “city Chamber of Commerce”. Some may have 5-10 different directories. So if you are trying to do St Paul SEO for Plumbing, you can type in St Paul Business Directory, St Paul City of Commerce, or St Paul Plumber Directory and work with those companies you see there. If this was helpful, let us know by mentioning us on LinkedIn or Sharing this article with someone that might need to know these techniques. That concludes that. I highly appreciate your time and effort. We’ll be here if you need help with plumber digital marketing at any time. Let me know how you’d like me to write the content. Thanks. along with a cup of coffee. Thanks.